I've been yearning for this baby (along with all the other Too Faced holiday products) since the promotional images came out. When I saw it available on Sephora.com (early isn't it?! 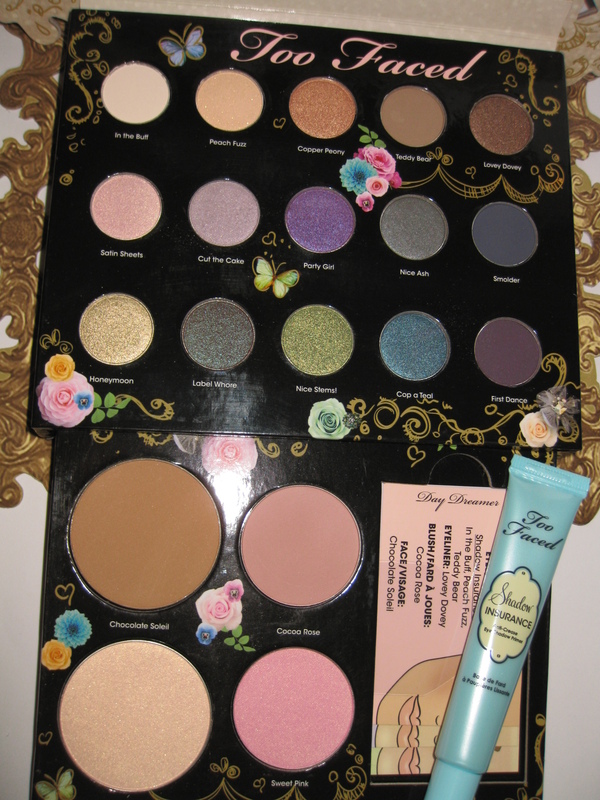 ), I promptly placed an order and paid extra for faster shipping. Was it worth the extra three bucks (for shipping)? Heck yes. The Packaging: The palette is made of durable, thick cardboard. 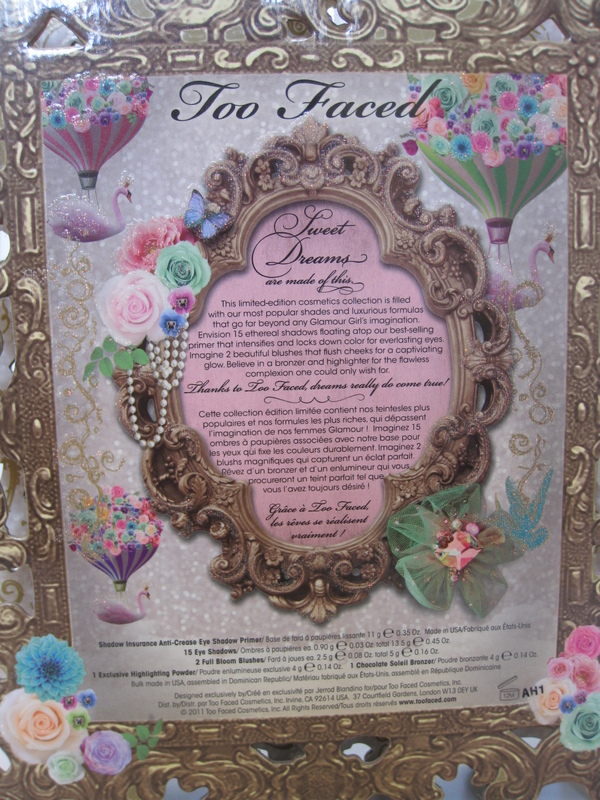 This year's theme features a gorgeous trapeze artist sitting on top of a pretty pink swan. 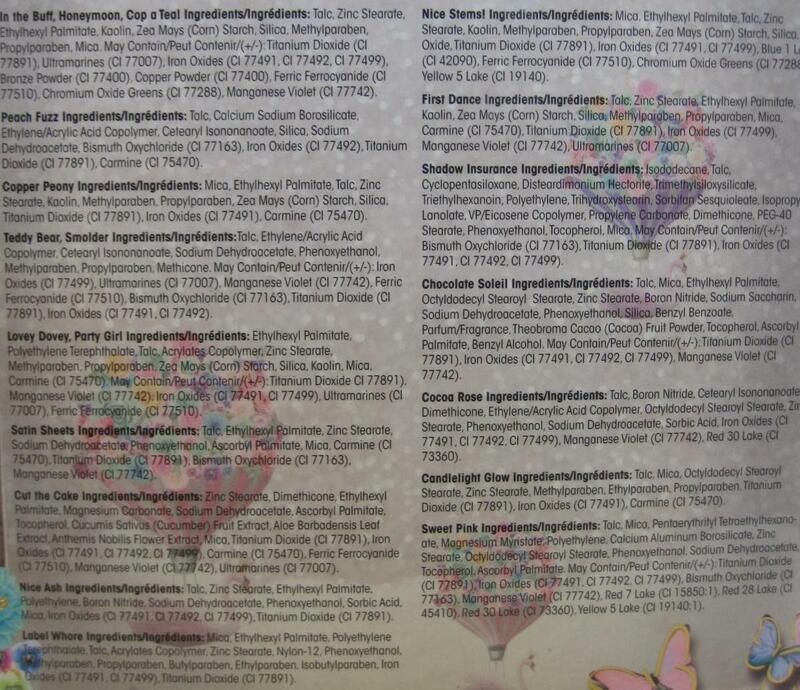 There are also plenty of butterflies, flowers, and glitter. The edges of the palette remind me of a fancy picture frame and while I thought they'd be easily bent out of shape -the cardboard is again quite thick -you'd have to really force it to wreck anything. 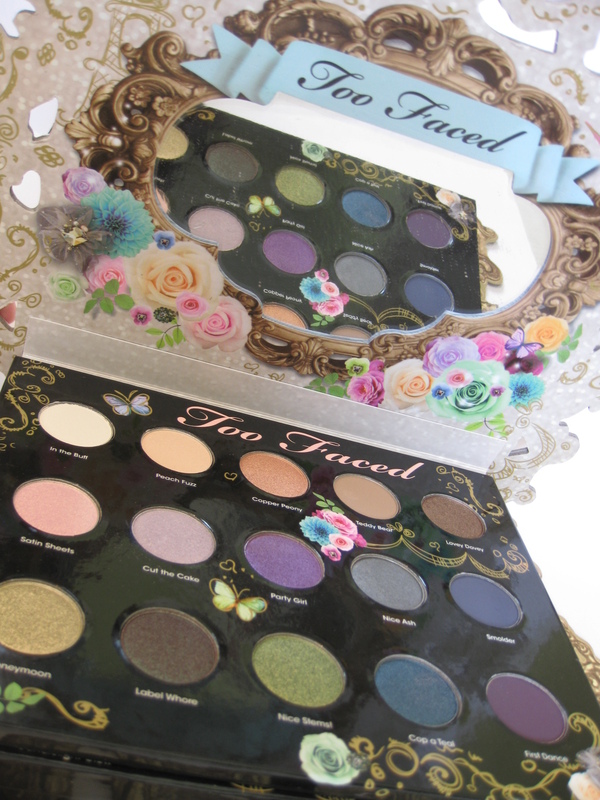 The palette opens to reveal a nicely sized mirror and 15 eyeshadows. Underneath, a drawer holds the bronzer, highlighter, blushes, and instruction cards. 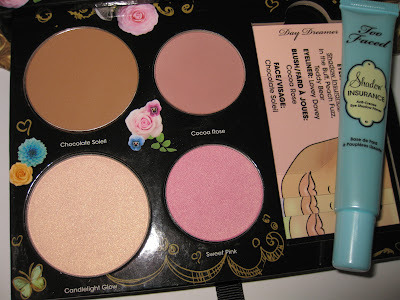 The only bummer is that there is no compartment for the Shadow Insurance (primer) -when I opened up the box, it was just placed at the top of the palette. While the packaging is undoubtedly beautiful, it's slightly unpractical. While there are no pop-ups or wasted space like last year's palette, the palette is still quite large huge gigantic. It's about the size of most of the novels on my bookshelf and would easily blend in with them. 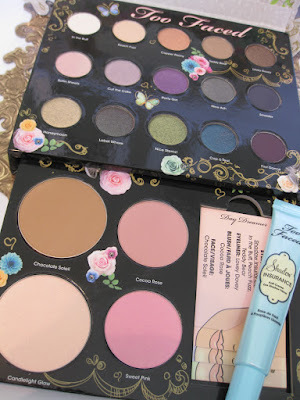 I'm running out of space for humongous palettes like this. The Product: This palette offers a great value -you get more than you pay for. 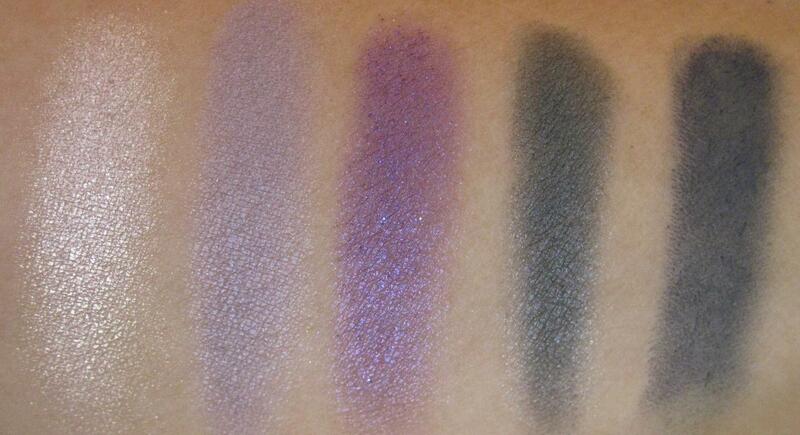 However, compared to Enchanted Glamourland (last year's palette), you're paying $52 versus $49. Also, instead of getting a full size lip gloss, you get an extra highlighter and blush. 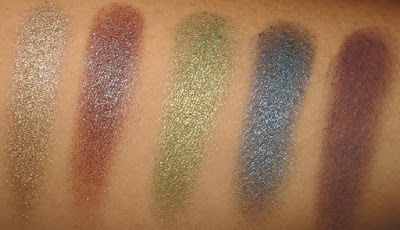 Eyeshadows- They eyeshadows are fabulous. I always use a primer and with TFSI, I have no issues -they last all day without creasing. 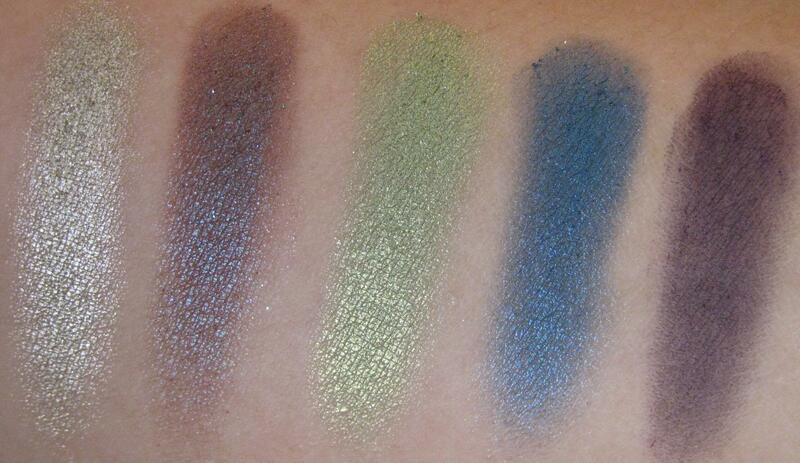 The color payoff is great and the texture of the eyeshadows is very smooth and soft. However, Lovey Dovey, Cut the Cake, and Cop A Teal seemed to be especially soft because I received some fallout from those three shades. 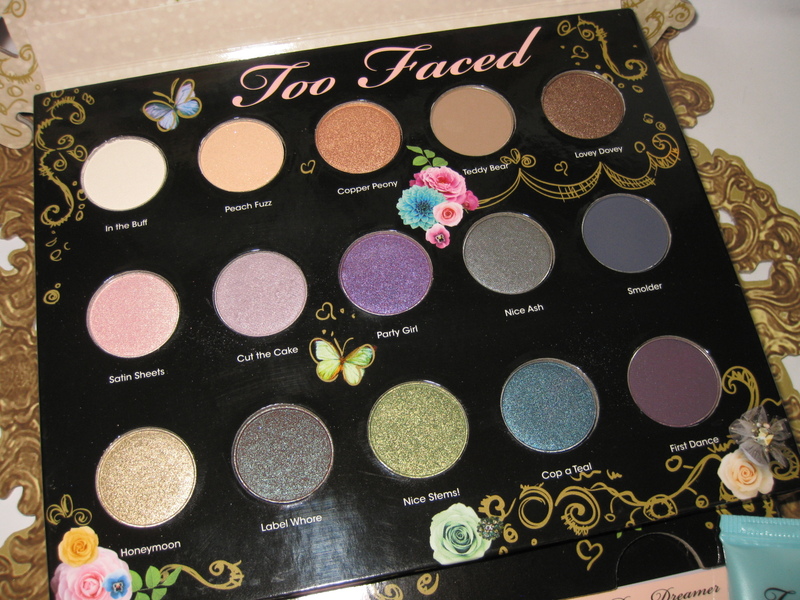 Prior to ordering, I was a little hesitant to purchase the palette because I was afraid of repeats. There are a total of six repeats (just from palettes I already own.) 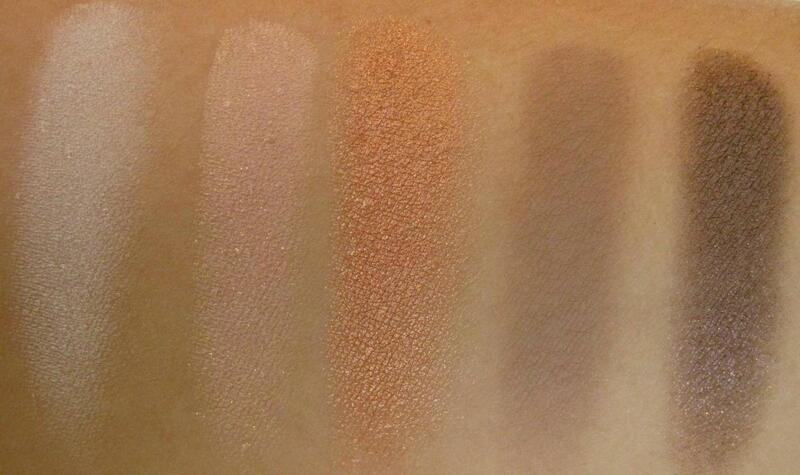 However, that's still nine new shades. 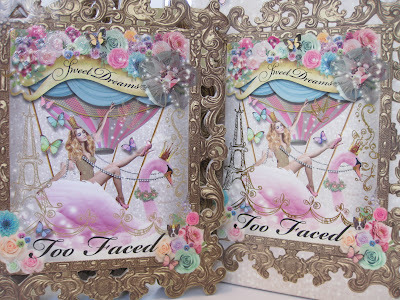 I do have one problem with Too Faced and their repeats though -sometimes they're inconsistent. For instance, they'll use the same color name but it's a totally different color. Take Smolder (in this palette) and Smolder from the Eye Love palette -one is navy and one is black! Chocolate Soleil Bronzer- This bronzer seems to be fairly neutral and I see it working with many skin tones. It's matte and isn't too deep or too light providing a very natural bronze shade. 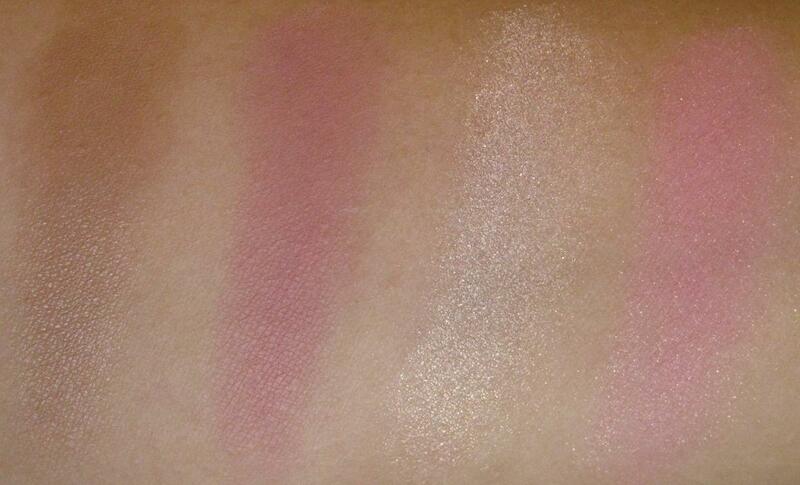 However, it is by no means "flat" -there's a nice natural sheen to it but no over the top glow or glitter. Also, the bronzer has the yummiest chocolate scent and surprisingly, it doesn't bother my sensitive skin. It lasts about 3-4 hours (on bare skin.) For me personally, I'd prefer something a little darker (because of my skin tone) but this is a great option for those who prefer a more natural bronze. 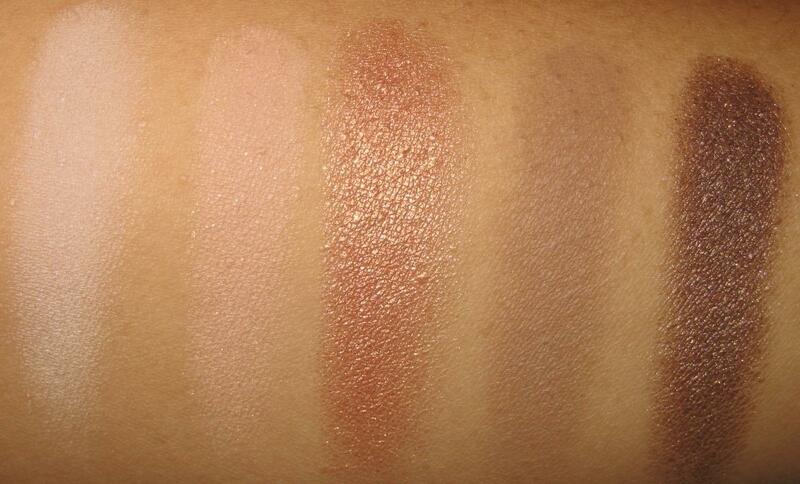 Cocoa Rose Blush- This is a very neutral pink and gives a natural wash of color. 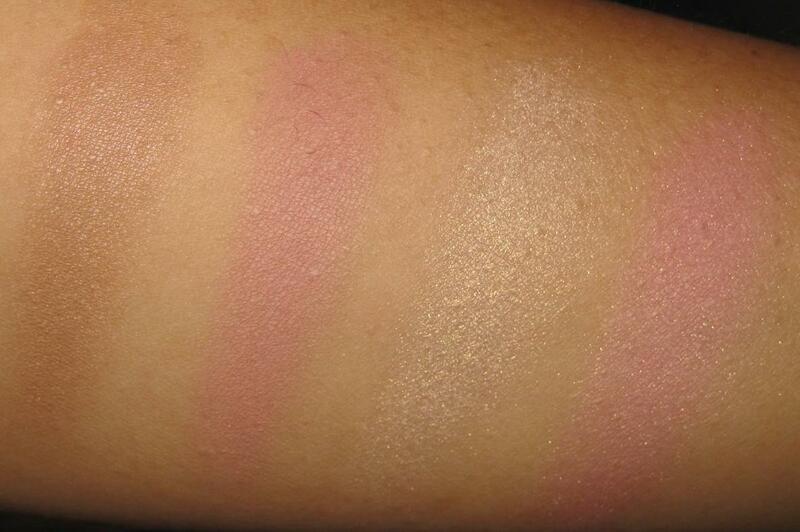 On my skin, I can barely see it (just because I have medium/tan skin.) So honestly, I can't tell you how long this lasts or doesn't last. 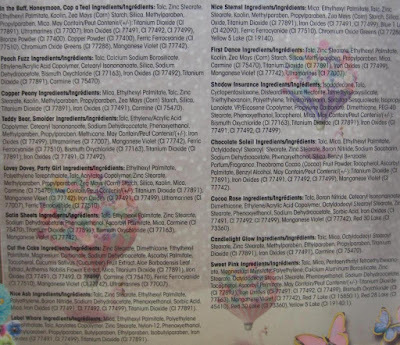 Shadow Insurance- TFSI is one of my absolute favorite beauty products. It prevents eyeshadows from creasing, enhances color, and locks down your eyeshadow all day (about 10 hours.) I also prefer this over UDPP when the skin area my eye area is extra dry -it works better and doesn't make the dryness worse. 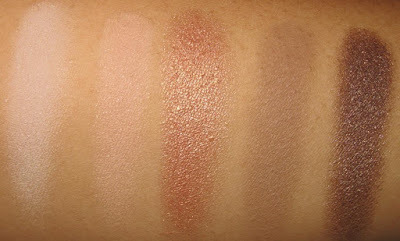 Swatches (I included both non-flash and flash swatches for this review because the sun was messing with my photos. I think the non-flash photos are more true to color BUT with a little more warmth -which is why I included the flash photos for comparison).. 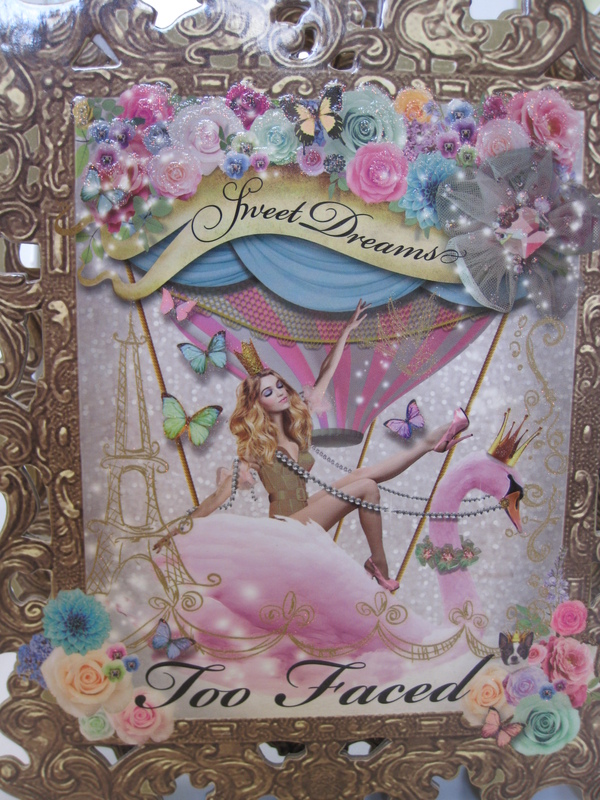 Overall: The Too Faced Sweet Dreams Makeup Collection would make an excellent present (for you or some else). 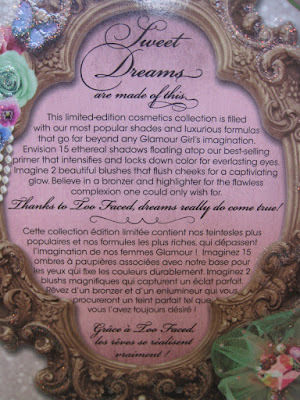 It can be an instant makeup collection for a beginner or fun addition to any makeup junkie's drawer. Because the palette does have a few eyeshadow repeats, I'd double check before adding it to your cart and hitting the checkout button. 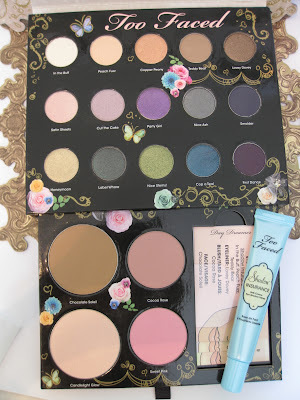 Is it the palette of the year? I don't think so (mainly because of the repeats) but it does house some amazing products and shades. But all in all, for $52, you get such a terrific value -it's definitely worth a second look. omg, i want this! lol. i love that it has everything you need. Great review! Thanks! 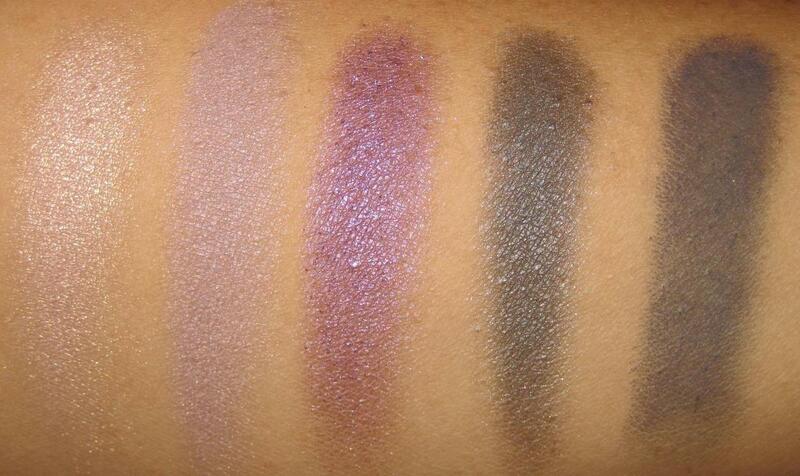 I love the palette already! How to make a love package..